Valentine’s Day will be here before you know it! Avoid last-minute panic by preparing the ideal date night on Valentine’s Day — whether you prefer a laid-back concert, a haunted pub tour, a serene dinner cruise, or a creative class. These romantic experiences, events, concerts and dinners will ensure the holiday goes off without a hitch. 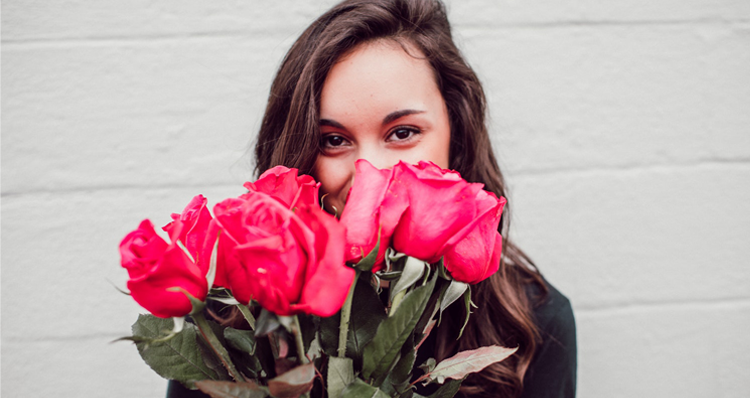 Reserve your spot or purchase tickets for these Valentine’s Day happenings in Portland before time runs out! 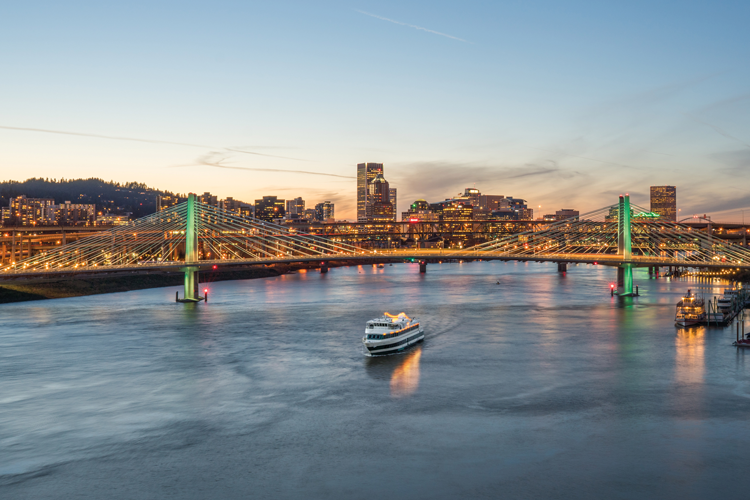 Hop on board the Portland Spirit Valentine’s Day Dinner Cruise along the Willamette River for a romantic meal on the water complemented by spectacular views of the Portland skyline. The cruise includes a private table, a fantastic four-course meal, a champagne toast, a souvenir glass and live music from The Bylines. Portland Spirit is hosting the Valentine’s Day Dinner Cruise on February 14, 15 and 16! Add a little excitement to your Valentine’s Day this year by embarking on the Haunted Valentine Pub Tour. A tour guide will take you through two historic pubs and an eerie underground tunnel, sharing stories about the “wild days” when the city was filled with saloons, brothels and an underground world. Enjoy six 5-ounce beer samples on this 2.5-hour tour. The tour is $59 per person (plus an online booking fee). Tours take off at Kells Irish Restaurant & Pub at 7 and 8 p.m. Sometimes the best way to celebrate Valentine’s Day is with a relaxing and indulgent couples massage. Book your hour-long massage for the 14th or the weekend after and surprise your valentine the day of! Hand & Stone Massage and Facial Spa has several locations throughout the Portland Metro, including Lake Oswego, Beaverton, NW Portland, NE Portland, Happy Valley, Vancouver, Camas and Hillsboro. There is nothing quite as romantic as wine tasting with your valentine. 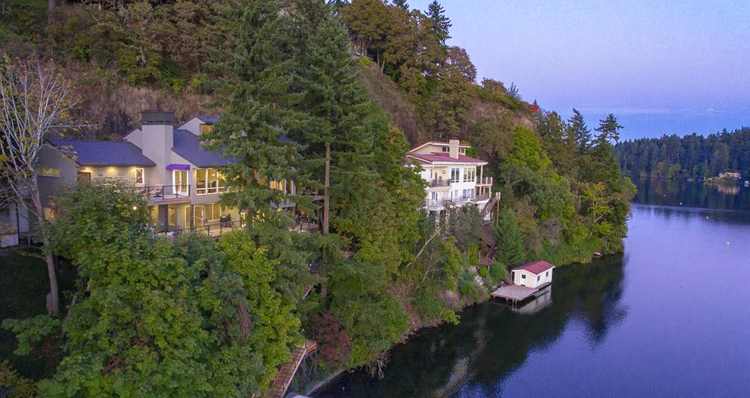 Thankfully, the Pacific Northwest produces some of the world’s best wines — especially in the Willamette Valley, home to over 500 wineries, encompassing over two-thirds of the state’s wineries. Check out a handful of the best wineries in Oregon and Southwest Washington and make plans to visit one or two this Valentine’s Day! Spend the day immersed in nature and tranquility at The Grotto. 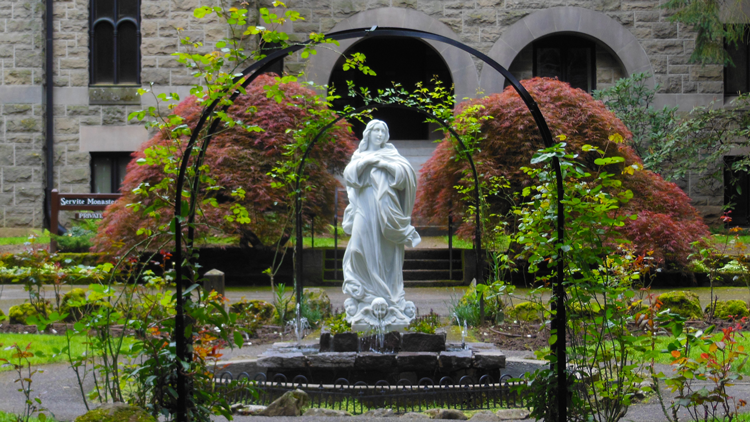 Surrounded by fir trees, colorful rhododendrons and other native plants, The Grotto is a 62-acre Catholic sanctuary welcoming more than 350,000 guests of all faiths each year. Visitors may see the marble replica of Michelangelo’s famous Pietà carved into the base of a 110-foot cliff, or ride the elevator (for a small fee) to the top of the bluff for a breathtaking, panoramic view of the area. The low prices of admission at The Grotto make it one of our favorite things to do in the Portland area for less than $10! Frigg’s Mercantile is a hands-on “Make + Take Studio” where you can create your own soap, candles, jewelry, cheese and more. 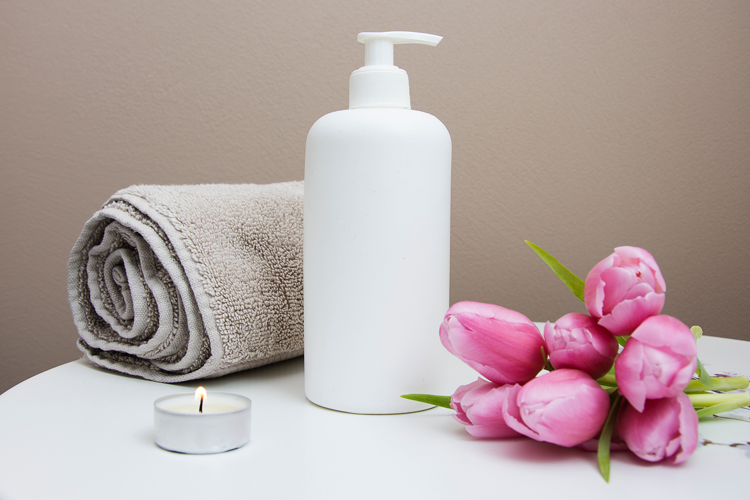 Their most popular workshop, where you can make your own bath and beauty products, is taking place on Valentine’s Day! Use an instruction card and ongoing guidance during the two-hour workshop to create bath bombs, lip balms and jars of lotion. You can choose your own scents and colors to customize each item! Bring your very own outside food or drinks at no additional charge. Purchase your $40 tickets for this class through Airbnb Experiences. 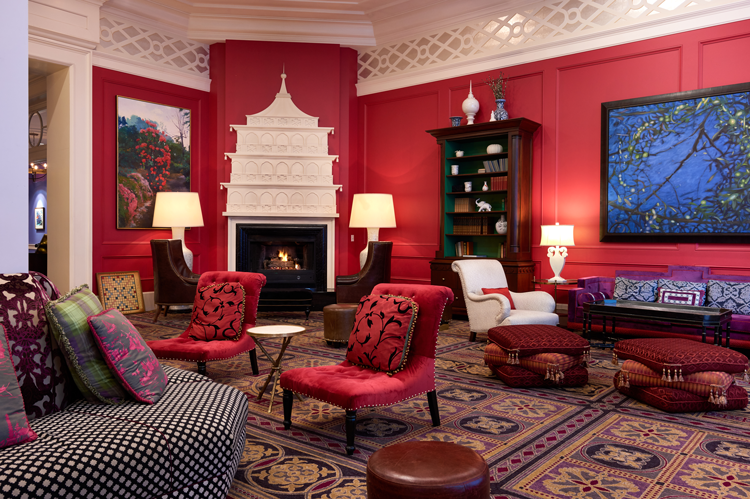 Consider booking a convenient yet luxurious staycation in the city at Hotel Monaco. This historic building was built circa 1912 and has an eclectic design marrying both the old and new with bold patterns, bright hues, and unique accessories and fixtures. This boutique hotel makes an excellent home base as you explore the downtown area and the Pearl District a few blocks away. Cozy up with the smooth, romantic voice of Motown legend, Smokey Robinson, as he performs his greatest hits, including “The Tracks of My Tears,” “Ooo Baby Baby,” “You’ve Really Got a Hold on Me,” and many more. 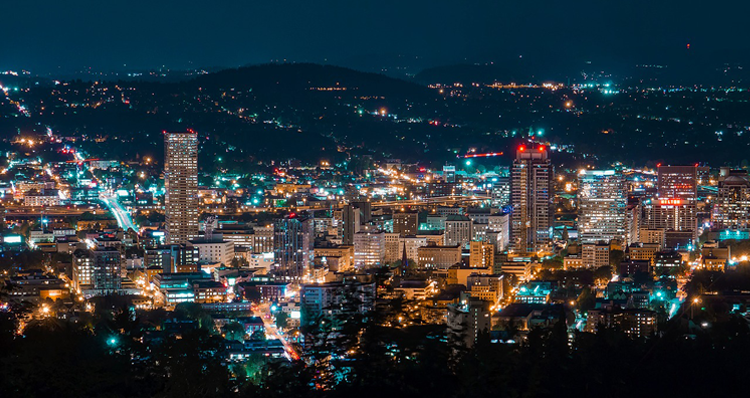 Accompanied by the Oregon Symphony at the elegant Arlene Schnitzer Concert Hall, this is a musical event you don’t want to miss. February 14, 2019 | 8:30 p.m. Enjoy performances from Guster, an alternative rock band from Boston, and up-and-coming indie folk artist Henry Jamison, at Wonder Ballroom this Valentine’s Day. This laid-back show is the perfect way to spend Valentine’s Day — whether you’re just now hearing about Guster and Henry Jamison or you’re a long-time fan! Espacio Flamenco presents Fall in Love With Flamenco at the historic Mission Theater. This year’s performance celebrates the romantic heart of flamenco with an all-star case of flamenco musicians and dancers. Plus, enjoy an assortment of cookies and chocolates made by Spanish pastry chef, Jose Luis Molina. Tickets for Fall in Love With Flamenco are $15 in advance. February 14, 2019 | 6 p.m. Bottle & Bottega is a paint-while-you-sip art studio in the heart of downtown. 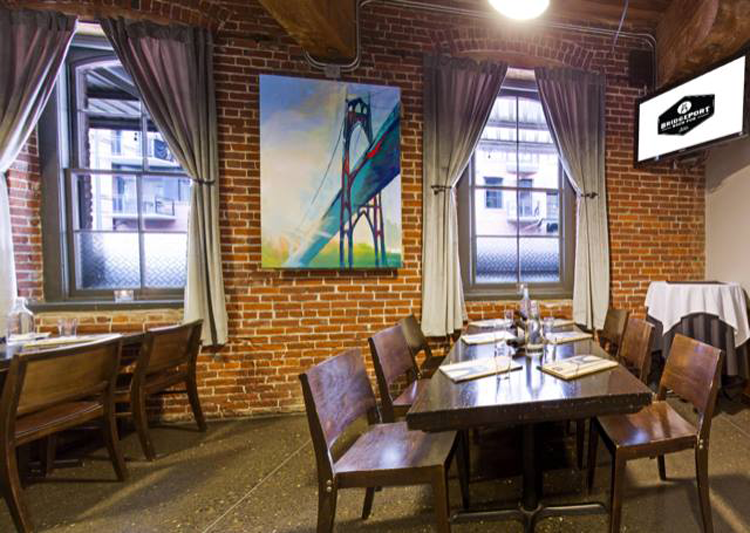 This Valentine’s Day, they are heading to Bridgeport Brewing Company in the Pearl District for a fun night of creativity and craft beer. Mix and mingle from 6–6:30 and begin painting in the Knucklehead Room at 6:30 until 9 p.m. The ticket price of $35 includes all materials, instruction, aprons and a 16-by-20 take-home canvas. The Portland Lindy Society is hosting a special Valentine’s Day Swing at the Secret Society, featuring two live bands, two dance lessons, and five hours of live swing music and dance. Enjoy happy hour from 6–8 p.m. All ages are welcome in the ballroom until 8 p.m., but be sure to stay for the second band and lesson as the swing dancing picks up! No partner is necessary and you are welcome to simply watch if you’re not quite ready to step out. The Valentine’s Day Swing will feature music from The Cherry Blossom Hot 4 and the Pink Lady & John Bennett Jazz Band. Enjoy a night of love and laughs at Harvey’s Comedy Club for their special Valentine’s Day show for ages 18 and up. There are a variety of packages available to enhance your evening! The Sweetheart Deal includes admission and your choice of a meal and any drink upon arrival ($49.99 for premium and $45.99 for standard). The Wine & Dine package includes admission and a glass of wine and choice of dessert upon arrival ($37 for premium and $33 for standard). And the Love Shack package includes a private booth that fits 3–5 guests on just one ticket price. This package includes chocolates and a bottle of champagne. Need more ideas? 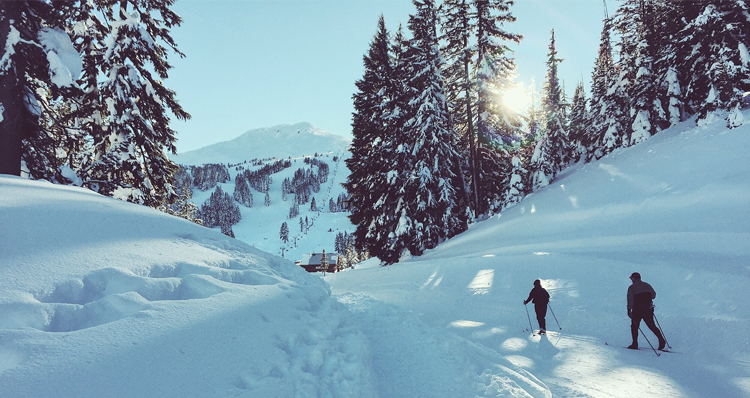 Consult our list of winter date ideas in Portland for more inspiration!